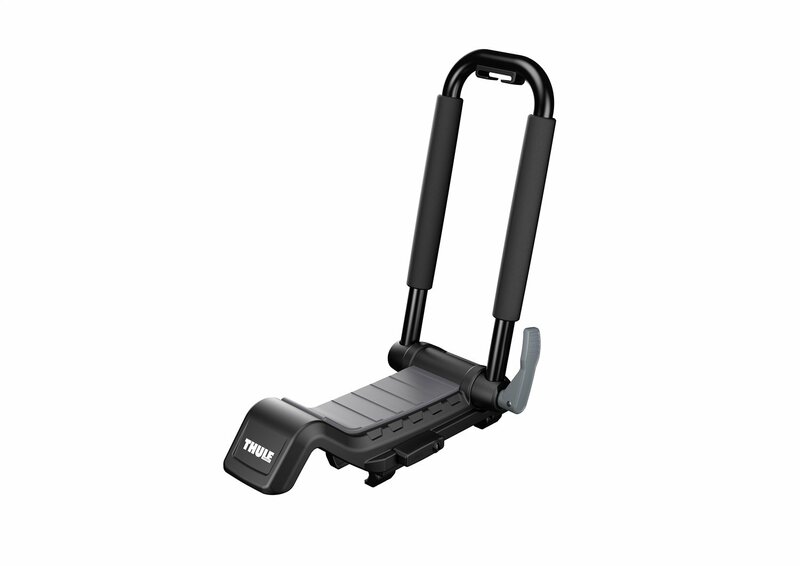 This Kayak Carrier designed mounts to virtually all crossbars and load bars on the market. The carrier secures the kayak on its side, consuming minimal space on the load bar. As shown in the pictures we put the Kayak Rack on the Ladder Rack Bar. (sold separatly). 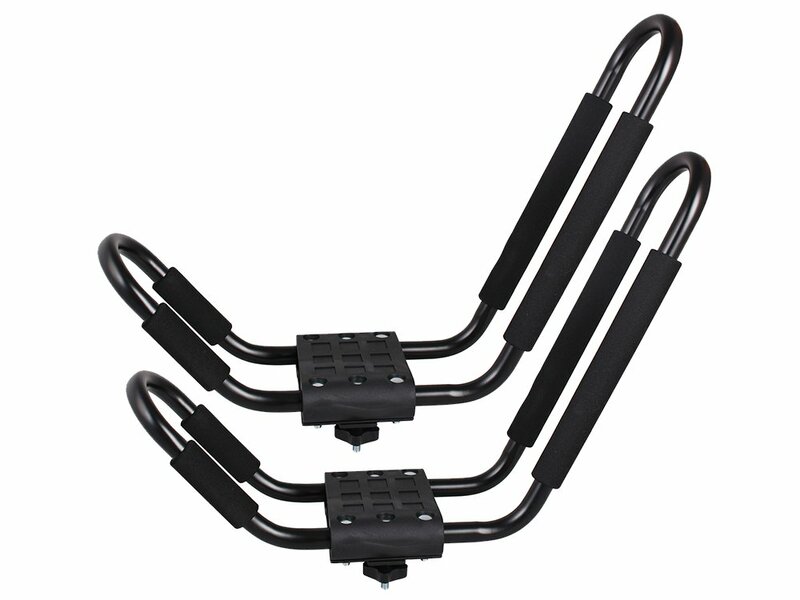 A maximum of 4 sets of kayak racks can be mounted on a full size truck. Save your space. 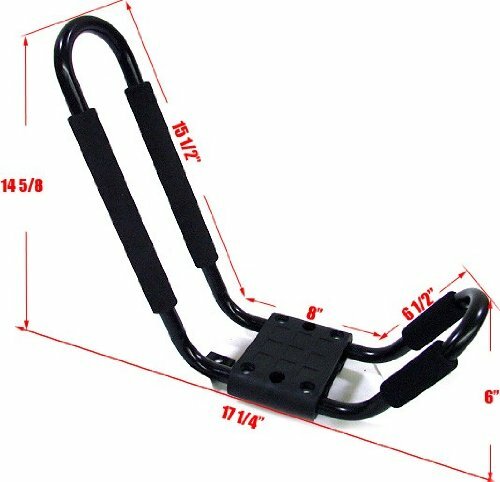 LIFETIME WARRANTY- Your satisfaction is the most important to us and we offer limited lifetime warranty for our kayak rack carrier. If you have any concerns with this product, please contact us. 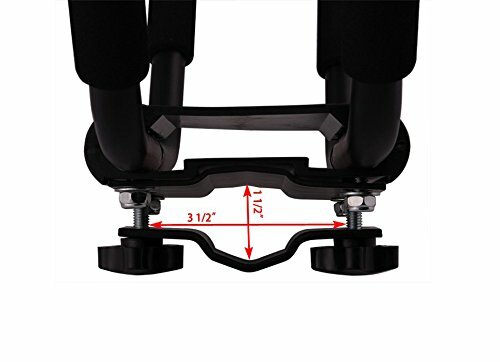 ~PLEASE CHECK MEASUREMENTS BEFORE PURCHASE.~The crossbars shown in the pictures are not included. 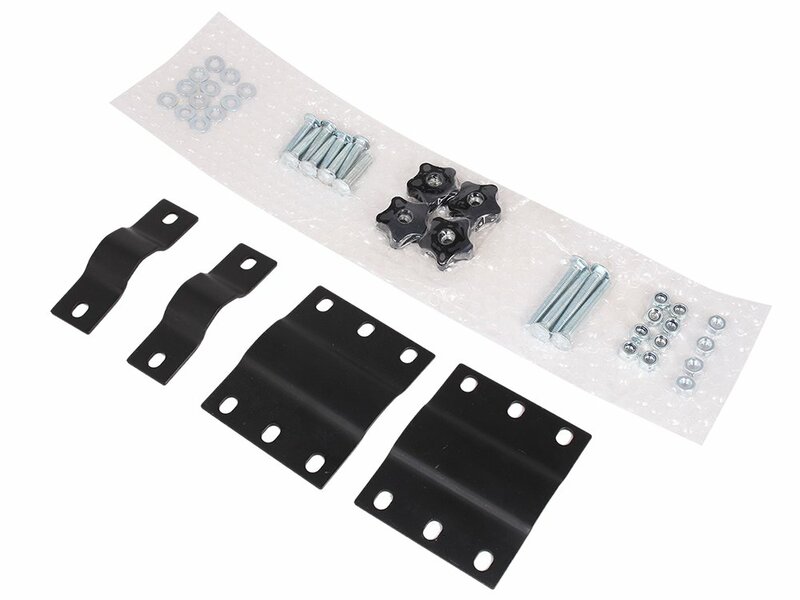 Authentic TMS products contain vacuum sealed installation hardware. Authentic TMS products are shipped in labeled boxes with item description (as shown in picture). 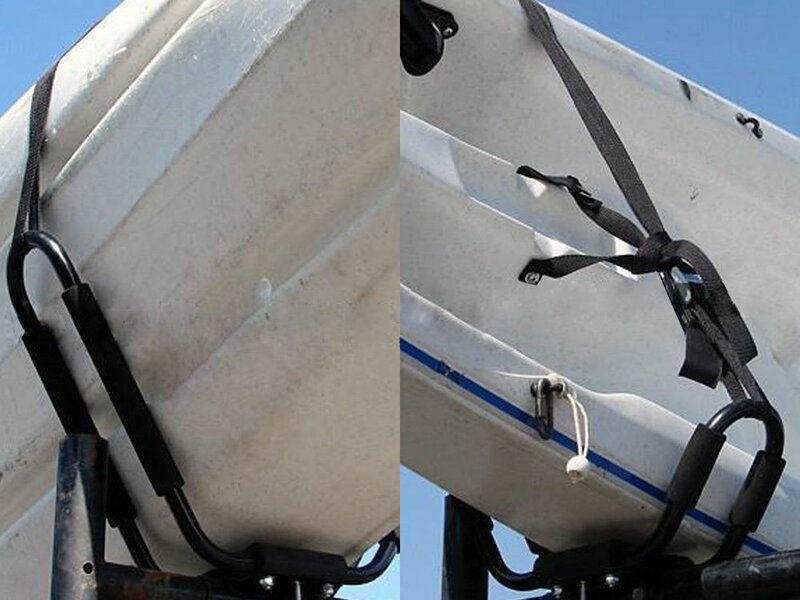 KAYAK CAR TOP CARRIER A simple, low-cost solution to carrying your kayak ITEM#: KAYAK-RK-J(2SET) CONDITION: BRAND NEW QUANTITY: 2 PAIRS This Kayak Carrier designed mounts to virtually all crossbars and load bars on the market. The carrier secures the kayak on its side, consuming minimal space on the load bar. As shown in the pictures we put the Kayak Rack on the Ladder Rack Bar. (sold separately). 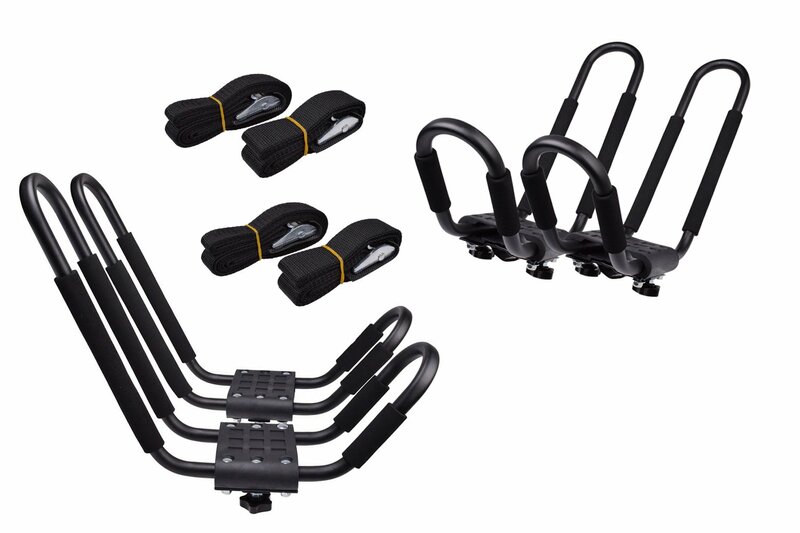 A maximum of 4 sets of kayak racks can be mounted on a full size truck. Save your space. Features: Steel design with adjustable padding for carrying strength and kayak protection Wide mouth J bar offers easier loading and unloading Quick on/off hardware ensures fast installation and removal Optimally sized J style carrier leaves roof space All surface rust-resistant coating and hardware for longer product life Includes all mounting hardware and 2 straps Accommodates kayaks up to 36" wide and 75lbs Will fit most factory or aftermarket round,square,oval and flat crossbars.The crossbars shown in the pictures are not included. ~PLEASE CHECK MEASUREMENTS BEFORE PURCHASE.~ TMS Warehouse and River Colony Trading are the only authorized sellers of TMS branded products. The instructions are a bit weird, mostly because its a single blow up install guide. Realistically it was easy to put together just took some time and patience, I needed to get some rubber to make the spacing better and also to not scratch my racks. Foam is cheap and will definitely wear off quick, but I will just replace it with something thicker when that happens. 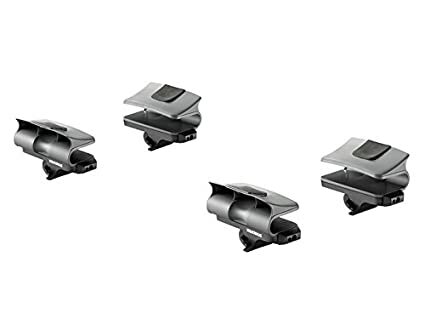 For the price you will pay for these I highly recommend them over anything I have seen elsewhere. These 2 pair were less expensive than 1 pair at a local big box store. Assembly is a little time consuming but if you're patient and not easily frustrated they go together as illustrated in the pictogram (no words) instructions. 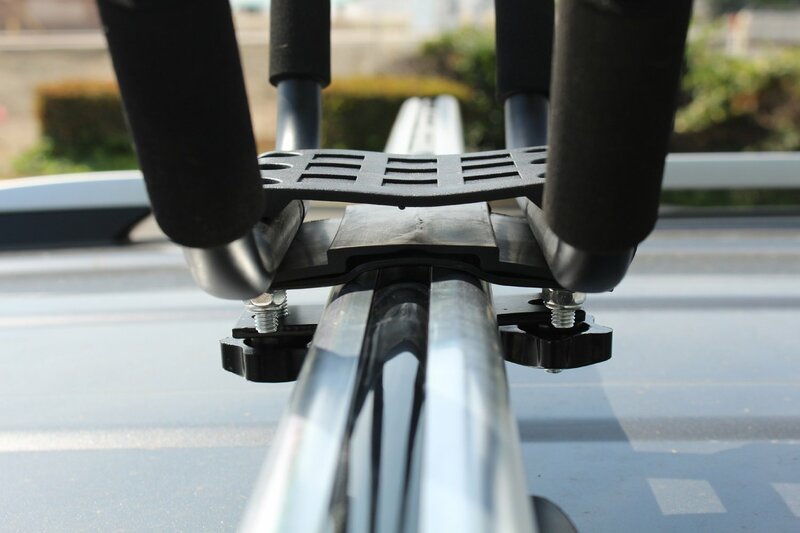 It can be a little fiddly getting them onto your roof rack cross bars (a third arm would come in handy) and I recommend using a ratcheting box wrench to tighten the nuts for the sake of speed, and a standard socket wrench won't fit between the end of the bolt and my roof. Strapped down with the included straps the kayak stays in place, but if traveling at speeds above 80 kmh or for long distance bow and stern lines would be prudent. Did a fair amount of research and went with these racks as they were a great price and were bundled with two sets. 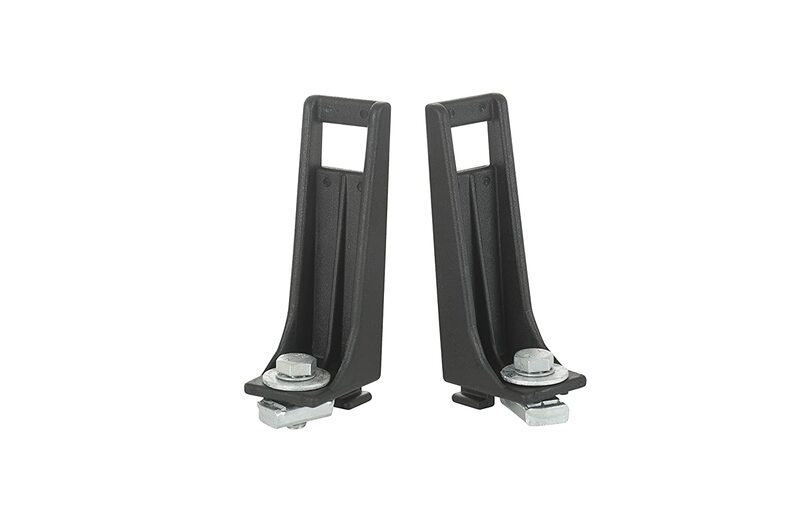 They were for transporting our Costco kayaks on our Audi Q5 so we didn't need a high-end solution. They arrived one day earlier than shipping advised (bonus) and came with all the parts (some others posted that being a problem). Putting both sets together took about 30 minutes (by the 4th one you speed up). Took our kayaks for a spin at a local lake today and they were great. Straps held well and were easy to attach. Just needed to take along a step stool so I could reach high enough to load them lol. These have been rock solid. We put these on our popup tent trailer and drove over 1000 miles and aside from my poor tying job, my kayaks made it with no problem. One of the bars slid to the outside and needed a bit more tightening but we didnt check it until well over 500 miles and should have checked sooner. 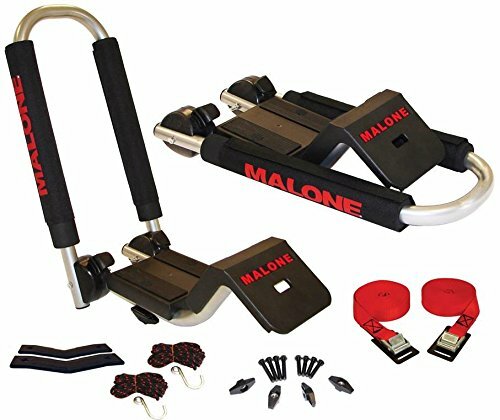 Perfect, easy install, holds kayaks secure, came with straps and all hardware and can't beat the price. 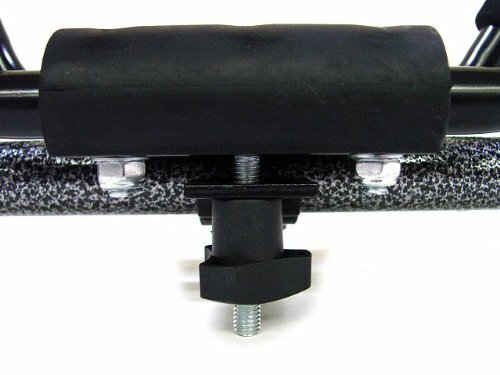 Only thing I wish they had would be normal nuts to fasten to the racks instead of the easy install thumb nuts, only because if you leave it somewhere they're easy to remove by thieves, but I just bought some nuts and washers for $6 and will permanently mount them for the summer. 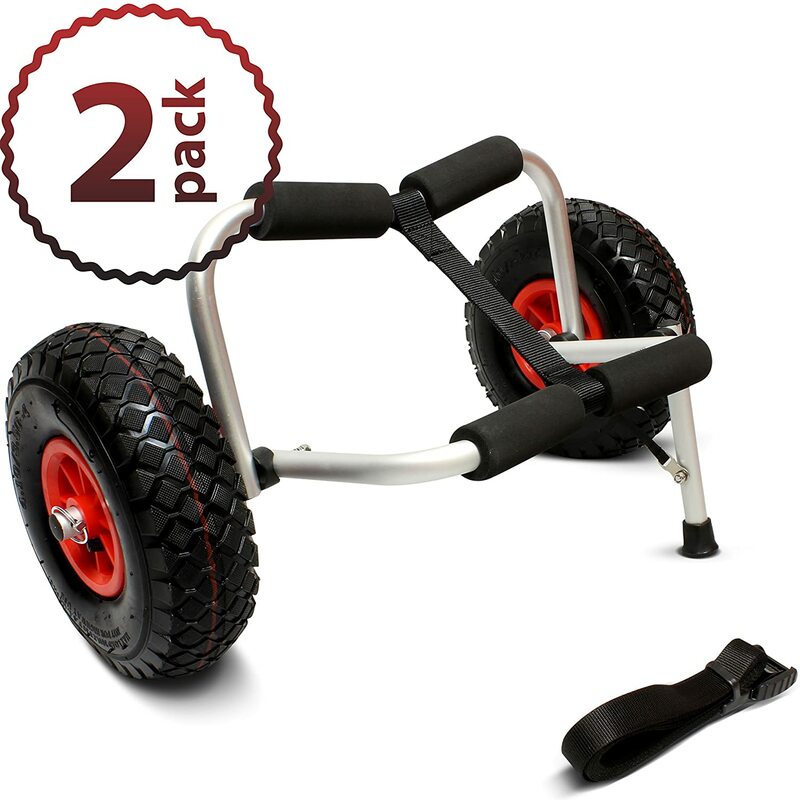 Excellent buy, might buy 2 more to mount them on a trailer. 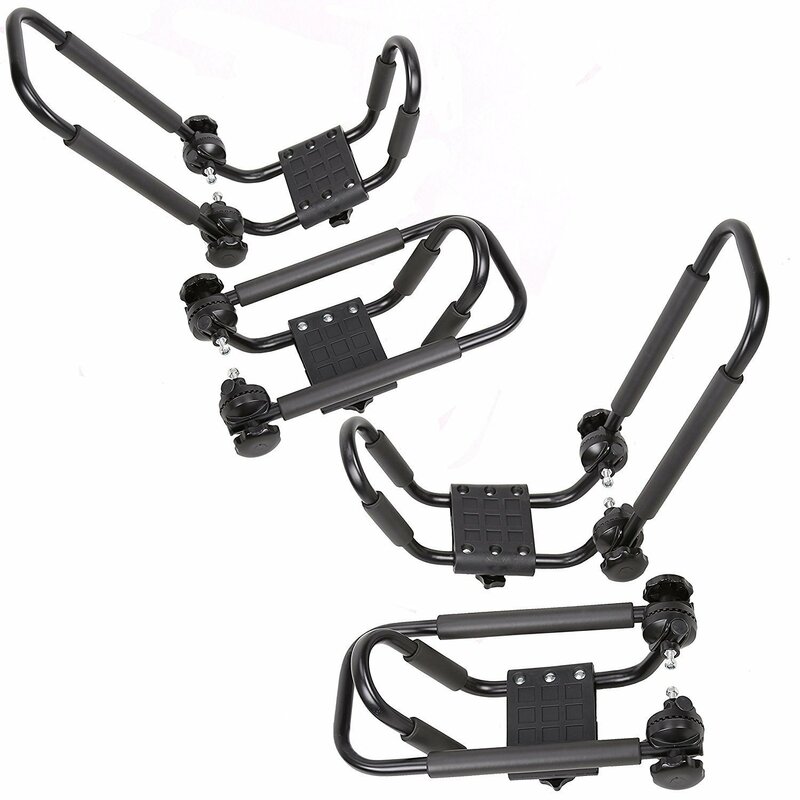 Was worried when I read the reviews stating that these racks would not work on oval bars. I own a 2011 Ford Explorer with really flat, oval parallel bars. Initially the supplied brackets were too curved to touch and tighten up when contacting the two centre plain nuts, but removing them and putting the two-hole strap plate on first offered enough room to compress and clamp tightly. Further shortening of the longer bolts kept me from scratching my moonroof !! All in all, a great product for the price, just had to use 25 years as a machinist to look at the issue from a different angle I guess !!?? The J tracks themselves are great and for a fraction of the local store price. But I had problems with them. On of the tracks had one of the holes wrongly placed so I had to drill new ones myself. Also, the straps are to short. I have average sized kayaks and the straps are too short to attach them. And one of the strap broken the 1st time I tried it. So I had to buy other straps from the local store. 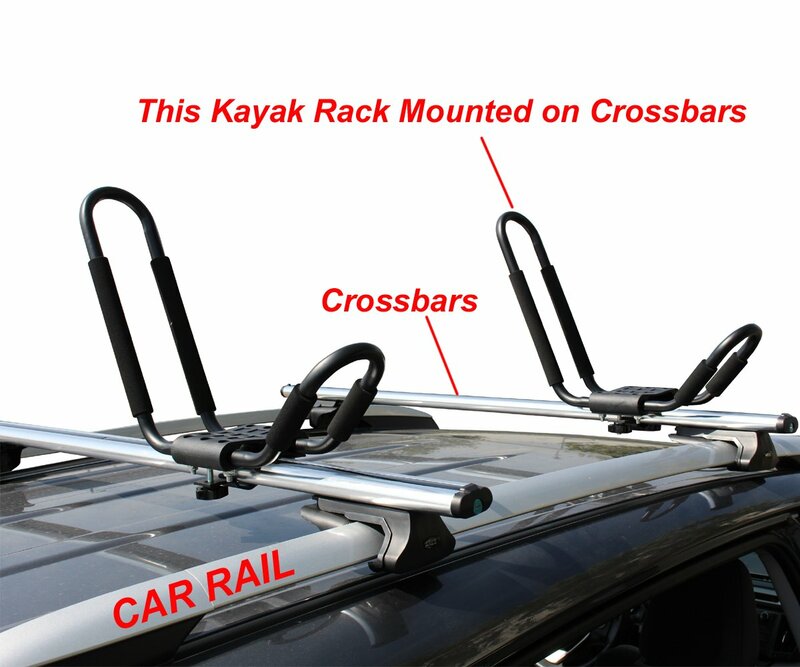 We bought these kayak racks for our 2018 Nissan Rogue with factory roof racks. These racks work fine. Yes the padding is cheap but what do you expect for $99. Itu2019s also a bit of a tight squeeze to carry two kayaks. The hulls of the kayaks touch. The biggest issue I have is that the brackets donu2019t fit exactly right on the Rogueu2019s cross members. I solved this by flipping the bottom bracket upside down and it secures the J-Bar securely. You can get better quality racks by spending more money but for our use, these racks work fine. 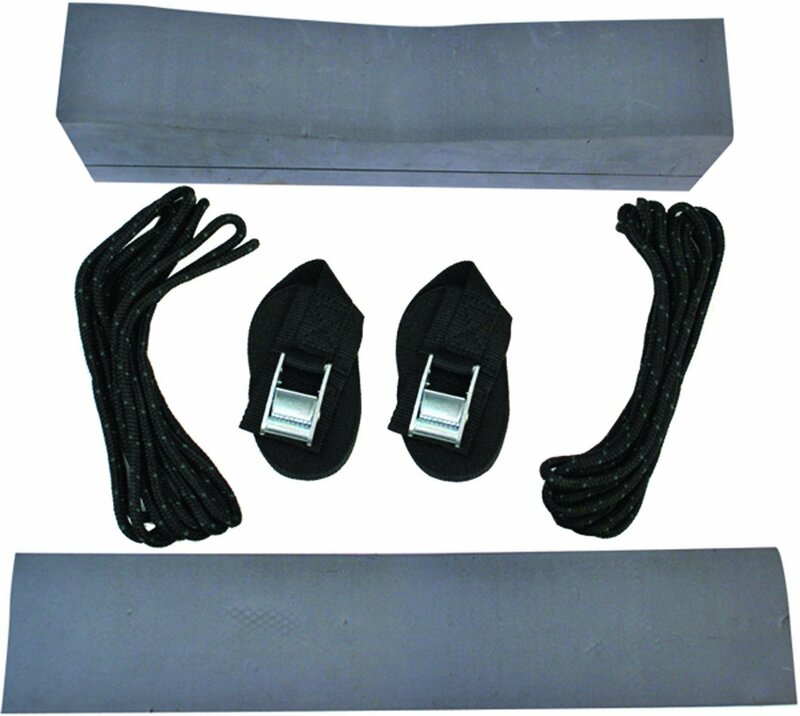 Attwood 11438-7 Kayak Car-Top Carrier Kit Inc.